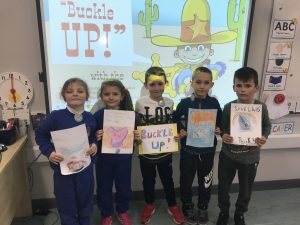 Meet the Seatbelt Sheriffs – Midleton Educate Together N.S. 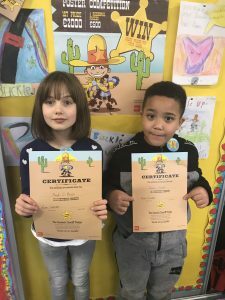 Here are the boys and girls in First class with their seatbelt sheriff certificates and badges. 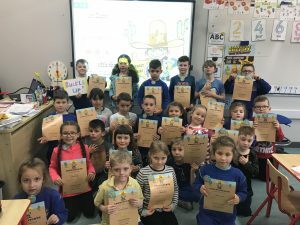 First class have been learning about the importance of wearing their seatbelts while travelling by car or bus. 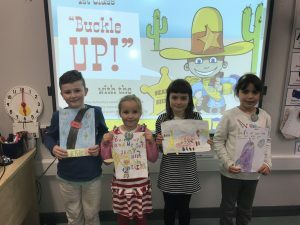 As seatbelt sheriffs the boys and girls must set a good example to everyone else in the car or bus by buckling up as soon as they get in. No matter how short the journey is, it is important that everyone is wearing a seatbelt at all times. Our message is to stay safe and always buckle up when travelling! ← Junior Infants have settled in!